If you have noticed that your turfgrass isn’t looking its best or that water has difficulty penetrating through the soil surface, it may be time to aerate your lawn. Clay soils and lawns that bear heavy foot and vehicle traffic are especially notorious for needing aeration as they become compacted over time. Using a shovel, dig a square-foot section of grass about six inches deep and examine. If the grass roots don’t extend further than two inches deep into the soil, your lawn would benefit from aeration. Water the lawn thoroughly one to two days prior to aerating your lawn. Apply at least 1″ of water to the grass; this can be measured by placing an empty tuna can in the middle of the watering zone. If the can is full, then 1″ of water has been applied to the grass. Watering the lawn will help the aerator penetrate the soil and pull out soil cores much more easily. Flag irrigation heads and other hidden objects in the lawn so that you will avoid them when operating the aerator over this area. If you do not have an irrigation system, use a garden hose and sprinkler to water the lawn. 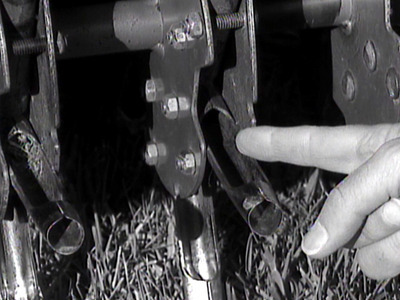 Note: A mechanical core aerator is the best equipment to use for aeration. 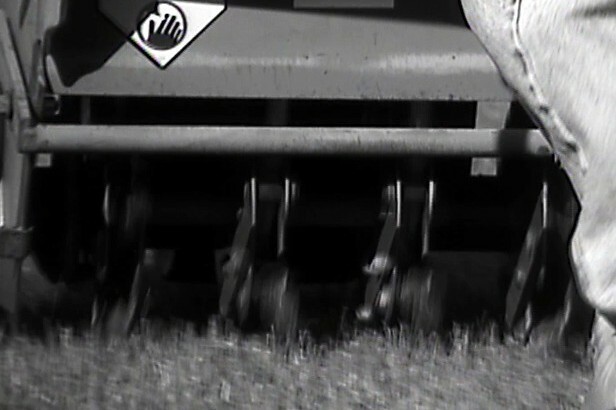 The tines on this type of machine are hollow on the inside so that they pull soil cores out of the earth. Other aerators such as those with spikes don’t work as well and may actually further compact soils. You can rent core aerators from most garden centers for about $30 to $75 for a few hours. Enlist the help of a couple of friends and a truck when picking up the equipment as it can be heavy and awkward. Read the operator’s manual carefully prior to use. The soil cores can be left on the ground after aeration and allowed to decompose. Or, rake them into piles and throw in the compost bin. However, this isn’t necessary as it should take about two to four weeks for the soil cores to break down naturally. Sprinkle compost (sand or peat moss can be used instead of compost) over the lawn to fill in the holes.